Bend is taking advantage of lower interest rates to refinance a public works loan and save tax payers dollars. The $10 million loan was originally taken out for two different projects. 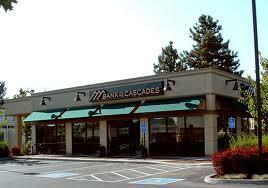 The Transportation Improvement and Urban Renewal projects were originally funded by a loan from Bank of the Cascades. With this refinancing, the city expects to save approximately $817,000 over the life of the loan. “This is something we’ve done in the past, and once again we’ve been able to do it to save some money for tax payers," says Communications Director Justin Finestone. " So it’s not something that’s new to us, but it’s an ongoing process of trying to save funds." Finestone says the city isn’t sure what they are going to do with the extra windfall. The city is working to build a new pipeline for their surface water. There is also the ongoing process of expanding their waste water treatment plant.